It’s time to start thinking about your holidays for the year and with so many new hotel openings for 2018 you really are spoilt for choice. We have put together an almighty list of 50 new openings from around the world. Happy planning! Kettner’s Townhouse will be the brand new restaurant, Champagne bar and hotel from the Soho House Group. In a historic Georgian building in London’s Soho it will join Dean Street Townhouse, which opened back in 2009. The French restaurant at Kettner’s Townhouse has a menu inspired by the history of the building, using locally sourced ingredients from the UK. Whereas the adjacent Champagne bar has the original mosaic tiled floor and early-deco 1920s design. The mishmash of eras present in the hotel are celebrated and make for an old-world romantic vibe. The original 18th century spiral staircase leads up to 33 bedrooms on the upper floors. Each room is individually designed inspired by the 1920s, in a French boudoir style. Kettner’s Townhouse celebrates Soho and its local community from 1867 to today, marking a new chapter for this historic building. 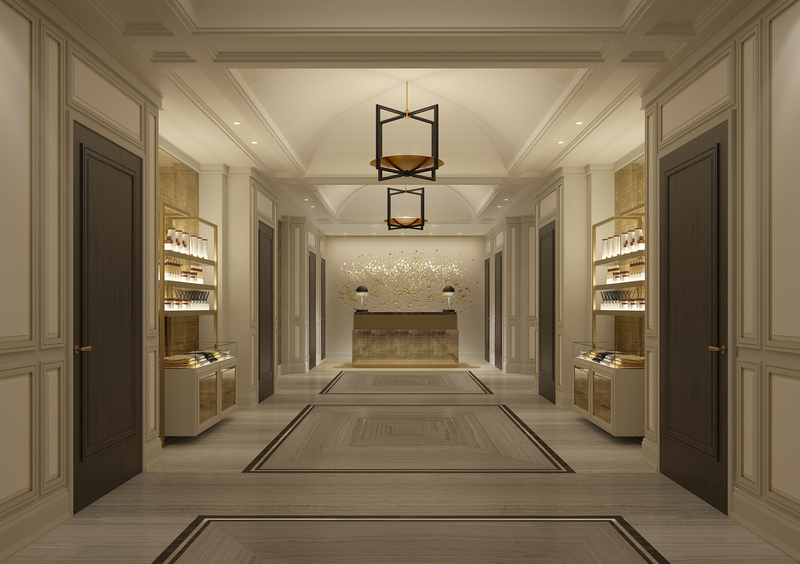 Set in The Duke of Marlborough’s former country estate, The Langley, sister hotel to The Wellesley Knightsbridge, a Luxury Collection Hotel, has been undergoing a meticulous, multi-million-pound renovation over the last four years. Before entering the hotel, guests will take in impeccably landscaped gardens which are Grade II-listed and were re-designed in the 18th century by Lancelot ‘Capability’ Brown, the renowned landscape architect responsible for changing the face of Britain’s gardens forever. For culinary enthusiasts, The Langley will be home to a collection of dining experiences including an intimate bar serving the very finest cognac and cigars as well as a signature restaurant. Afternoon tea will be served in the hotel’s drawing room and back courtyard overlooking the lake. The property’s original Winter Garden has also been refurbished and reconfigured and will offer a luxurious and beautiful backdrop for weddings. UNIVERSITY ARMS, Cambridge is a landmark hotel located in the historic centre of Cambridge overlooking Parker’s Piece. First opened in 1834 as the city’s original hotel, it will relaunch in early Summer 2018 after a complete transformation. The hotel will be quintessentially English and the literary and academic spirit of Cambridge will be one of its defining characteristics. 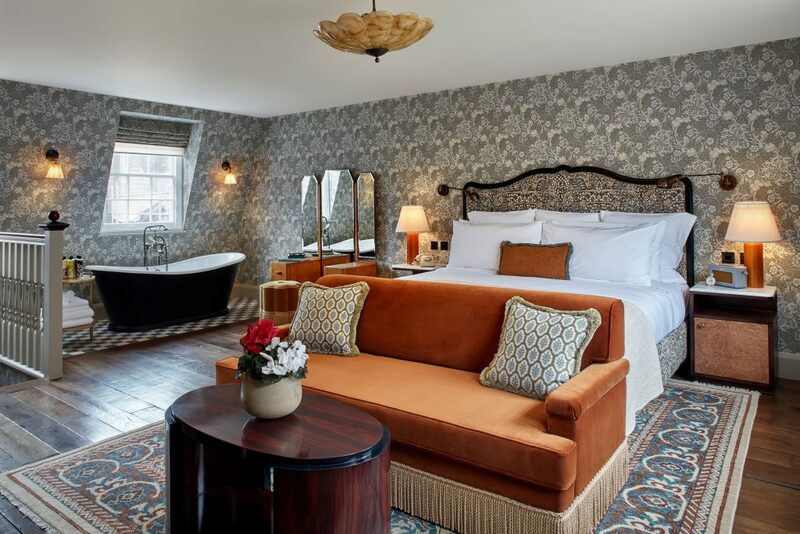 The hotel is by no means small with192 beautiful and playfully designed new hotel rooms and suites- perfect for a weekend getaway from London! The hotel will also have a destination restaurant and bar, library, underground valet car parking and fitness facilities. 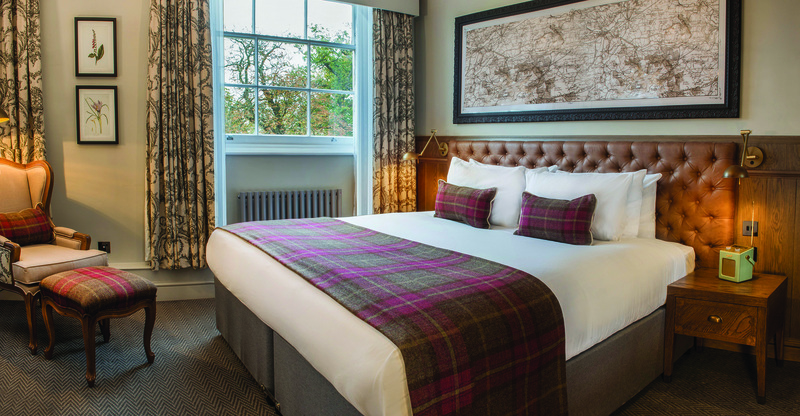 With its classic Georgian architecture, standout food and cosy rooms, Wiltshire’s award-winning The Methuen Arms has re-launched this winter with the addition of 5 stunning new en-suite bedrooms as well as a completely refurbished bar and restaurant; offering a distinctly stylish escape to the country beside the stately home and beautiful grounds of Corsham Court for those in search of something new in the glorious UK countryside. 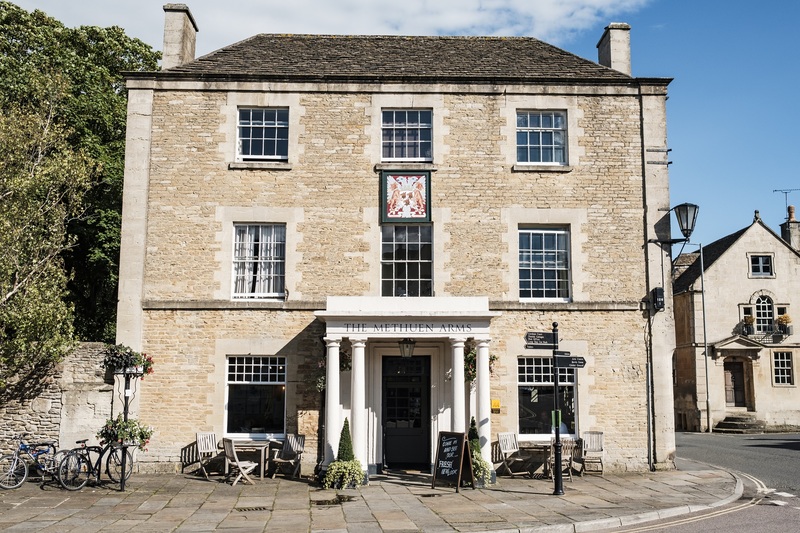 Taking care of food and drink at The Methuen Arms is award-winning Head Chef Leigh Evans, formerly of Combe Grove Manor, The Chequers and The Royal Crescent Hotel in Bath. Boasting a fantastic reputation amongst peers and punters alike, Evans’ accolades include reaching the quarter finals of the coveted Masterchef: The Professionals in 2008, specialising in sourcing the finest local ingredients and adopting a nose to tail philosophy when it comes to crafting his menus; whether it’s for a simple pub snack or a more indulgent evening meal. From £145 per room per night based on two sharing on a B&B basis. Not so much a new opening but more a refurbished opening, the next chapter in De Vere Wokefield Estate’s history will be completed in January 2018 with the unveiling of the renovated mansion house, following a £10million refurbishment project. The historic country house, set in 250 acres of Berkshire parkland, will once again be placed at the heart of the estate. The mansion being renovated today was rebuilt in the 1720s by Charles Parry and will offer guestrooms that have been sensitively restored, preserving their historic features, as well as luxurious suites; all of which come complete with king size beds, fluffy robes and slippers as well as luxury bathroom toiletries. 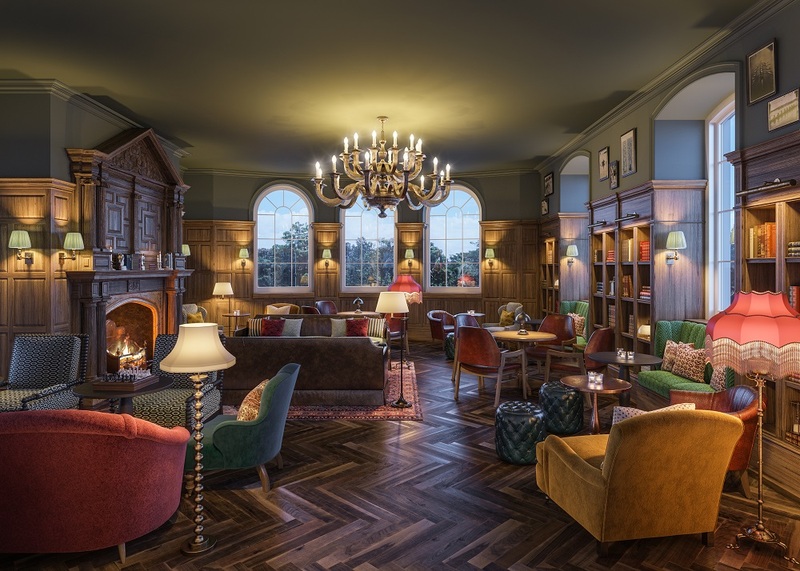 For guests who wish to unwind in the evening, a new Whisky Lounge will be launched, with an exquisite selection of tipples, providing the ideal space for pre- or post-dinner celebrations. Set on the edge of the Forest de Rambouillet, just 40 minutes from Paris, Le Barn will open its doors in Spring 2018. The country retreat is being built on horse-training estate, Le Haras de la Cense – however guests of Le Barn can choose to have as little or as much to do with horses as they wish. 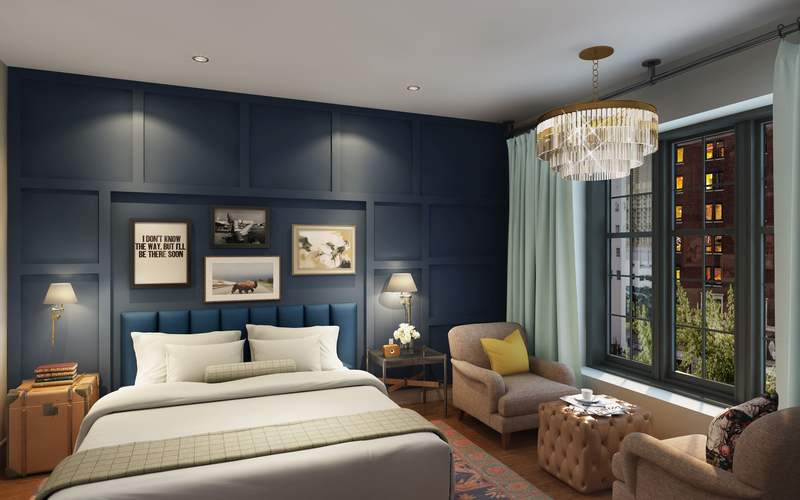 The hotel will open with 71 rooms housed in rustic, industrial-chic accommodation, transformed from an old mill house, grain stores, along with some brilliant new builds. Family-friendly à la française, a dedicated family block will house ‘dormitories’ for children. Meanwhile, meals will be shared between guests, served at long communal tables, with an indoor-outdoor restaurant and allotment area where guests can grow and eat their own produce. Opening rates from 180€ per night, based on two sharing on a B&B basis. The Mooons will be a brand new addition to Vienna’s affordable luxury accommodation scene. Launching mid-2018 The Mooons hopes to bring extravagant design, inspiring cuisine in combination with intelligent ideas at surprisingly affordable prices- perfect for a quick weekend break to Vienna. Located opposite the new Central Station of Vienna, Mooons is the ideal base to explore the city. Starting room rate of € 89. For more information please visit www.vienna.info. Opening February 2018, this 5* resort is split into two hotels – the adult specific ‘Corales Beach’ which is created exclusively of Junior Suites, complete with ocean view terraces, and the family-friendly ‘Corales Suites’ which have 114 deluxe ocean-view apartments with private terraces. The hotel has also announced the appointment of Michelin-starred Padrón Brothers, who are the only Chefs to specialise in Canarian cuisine, seeking to put the hotel and Tenerife on the foodie map. The dynamic duo will be head up Maresía – the resort’s rooftop cocktail bar, restaurant and pool bar. There are nine restaurant and bars in total, with four exclusively for guests staying at the adults-only Corales Beach. 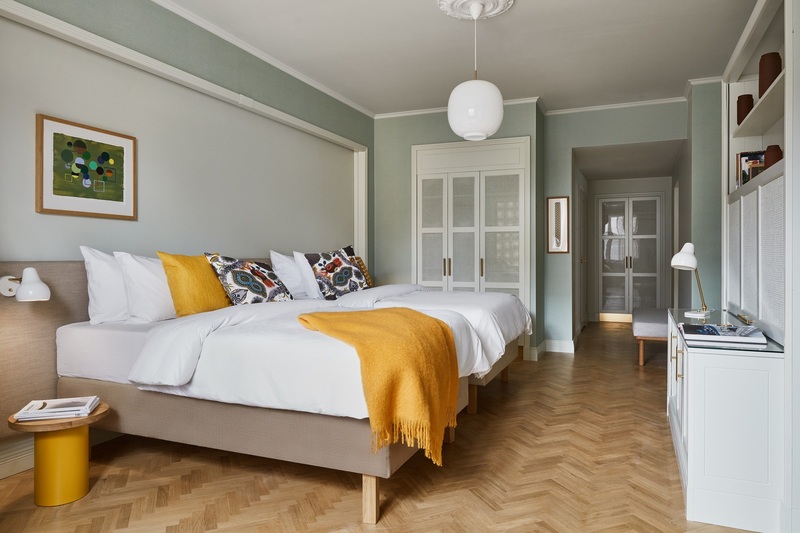 Hotel St. George, the Finnish capital’s newest hotel, is set in one of the city’s oldest buildings – a property dating from the 1840s. Over the years, the building has housed the Finnish Literature Society and the printing house for Finland’s first national newspaper, Suometar, before being acquired by Design Hotels in 2017. Following a year-long restoration programme, the hotel features a range of luxury rooms and suites, and the Andrea restaurant run by renowned chefs Mehmet Gürs and Antto Melasniemi – all centred around a relaxing winter garden. The Care spa and Playground gym will offer outdoor exercise classes, seasonal massage treatments, meditation sessions, and stress-busting detox programmes. Set in the rugged volcanic landscape of Iceland’s south-west coast between capital Reykjavik and Keflavik Airport, the geothermal Blue Lagoon is one of the country’s most iconic attractions. 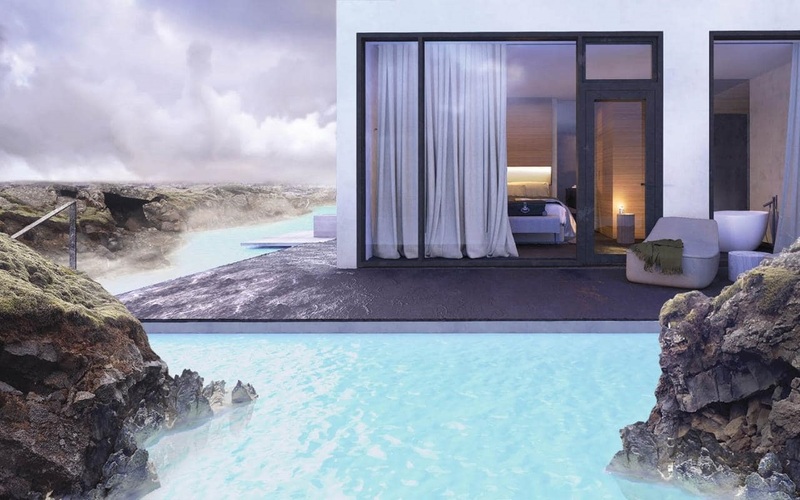 From April this year, guests will have another reason to visit and submerse themselves in its milky blue waters: the chance to stay in luxury suites carved into the lava itself. Featuring floor-to-ceiling windows and large balconies offering views over the lagoon or the surrounding luna-like landscape the Retreat at Blue Lagoon will be a must stay destination for all couples. Guests will also get access to a plush spa carved into a frozen 800-year-old lava flow. One of the highlights is the slick on-site restaurant that will be offering a seven-course tasting menu showcasing a contemporary take on traditional Icelandic cuisine. Two nights’ B&B at the Retreat at the Blue Lagoon is from £1,350 per person, including return international flights, spa entrance, a daily guided group hike, a daily group yoga session, use of the fitness centre, and Icelandic coffee in the lounge. 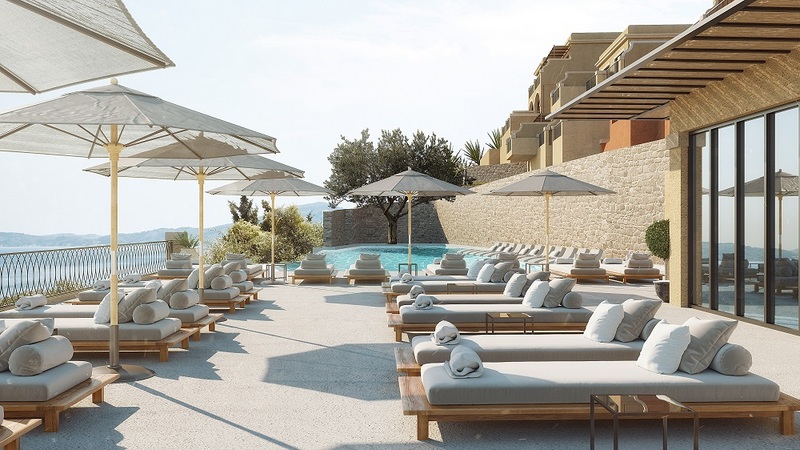 The five star AMARA, named after ancient Greek Amarantos, meaning everlasting, will be ideally located near the royal ancient kingdom of Amathus, on the outskirts of Limassol in Cyprus. The property is set to have 207 rooms, each of which will boast beautiful unobstructed sea views. AMARA will also house a rooftop bar, an infinity-edge swimming pool and a selection of restaurants overseen by world renowned celebrity Chefs. 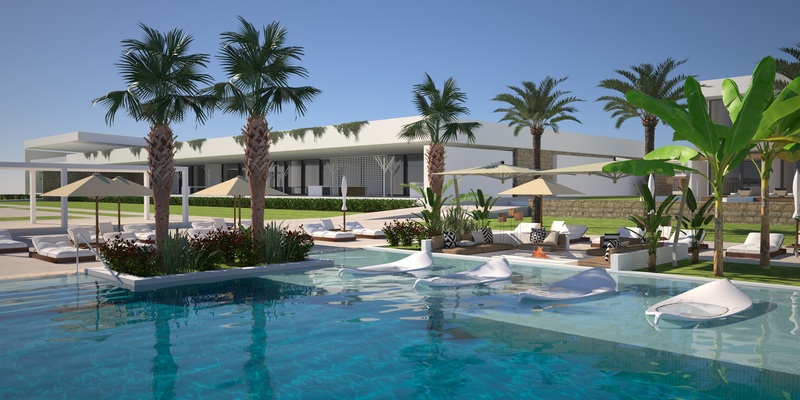 The end of next summer will see the launch of Calilo, a new 5-star luxury spa resort on what is possibly the most beautiful spot on the island, Papas Beach. In a remote 1,000-acre setting, the hotel will benefit from a private beach, well away from prying eyes. Initially some 30 suites, all with private pools and Jacuzzis will open, supported by a spa, gym and wellness centre, with natural baths created along the valley. Guests can enjoy non-motorised water sports as well as beach volley ball, tennis and football, watch a film in the open air cinema and go trekking along the 10km beautiful trails that smell of thyme and oregano. Healthy Mediterranean meals will be served in the three restaurants, with plenty of fresh fish and vegetables, the latter sourced from the hotel’s own organic garden in which there are also 500 olive trees, some up to 300 years old. And for those who want to see the rest of the island, including other beautiful beaches or the amazing party scene in the beautiful old town of Chora, there will be transfer services by car or boat. 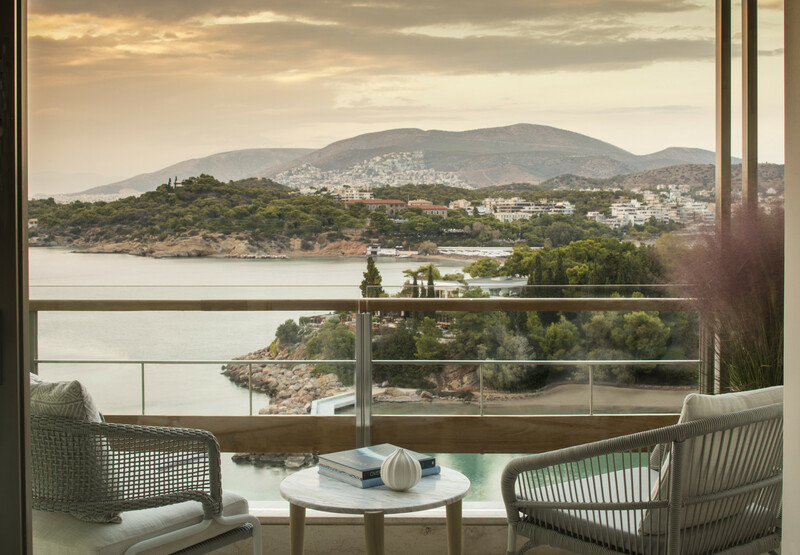 Conveniently located 16 miles south of Athens on the Vouliagmeni Marina, a popular yachting destination along a pristine shoreline of the Aegean coast, the new Four Seasons Astir Palace Hotel will bring Four Seasons signature service to Greece for the first time. The iconic Astir Palace has long been favoured by elite international and Greek clientele. In addition to the Hotel, the peninsula, stretched across 75 acres of pine-dotted and scenic landscaped gardens, also comprises upscale retail and dining options, including Matsuhisa Athens by Nobu, Astir Beach, a unique seaside concept and Astir Marina. 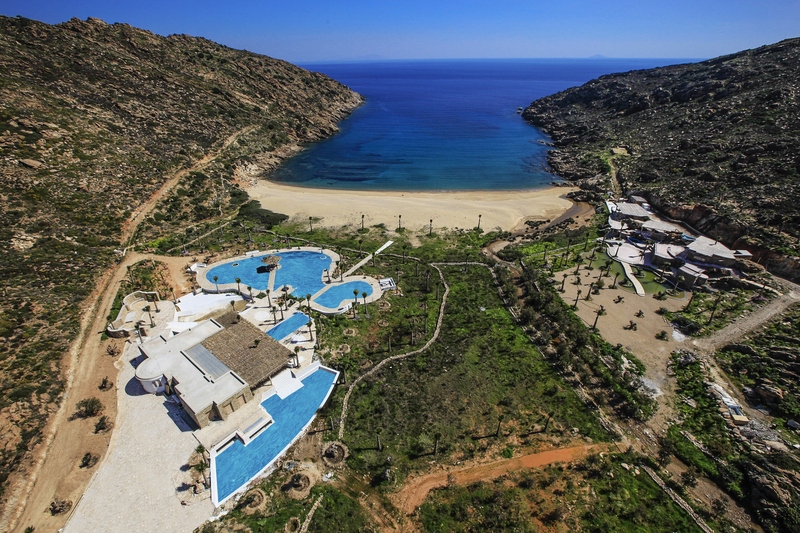 A new design resort set on the coastline overlooking the Aegean, Gennadi Grand Resort opens in Spring 2018 and will set a new standard for five-star hospitality in the Greek islands. Part of Lindos Hotel Group, this eco-friendly resort redefines modern luxury, offering a true sense of locality and with an emphasis on bringing the outside in. With over 200 stunning rooms and suites, most with equal space outside and in, each room offers sophistication and tranquil beauty and creates a holistic hideaway experience. As part of its eco design, Gennadi Grand Resort will include a sloped green roof in order to minimise the sunlight reflection and improve the overall microclimate. It will also operate under a BMS (building management system), to enable efficient energy management; as well as use a reverse osmosis (RO) plant to provide clean, sustainable water. Corfu’s newest adults-only property, nestled into the South-East corner of Corfu in Agios Ioannis Peristeron, MarBella Nido Suite Hotel & Villas will be the newest addition to the MarBella Hotels family. Set to open on the 5th May 2018 it is an exciting addition to the island. With the hotel name Nido deriving from Italian meaning ‘nest’, the hotel reflects this in its warmth and intimate environment. 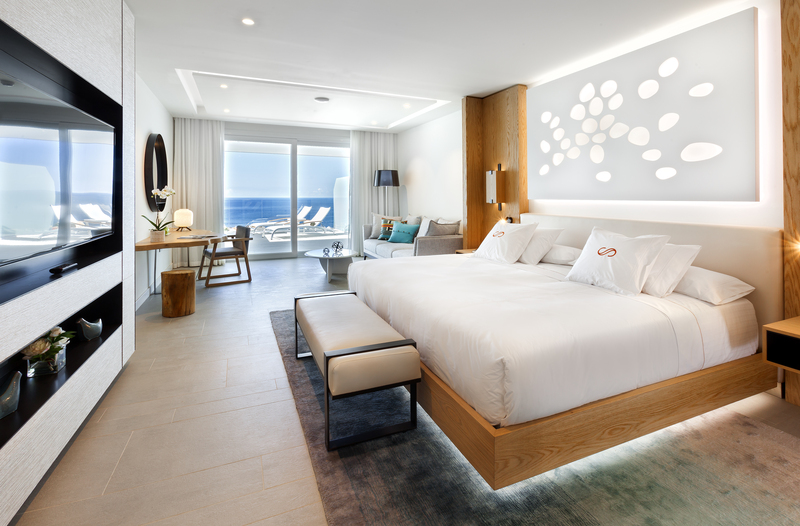 Each of the rooms are complemented by sleek design, modern amenities and breath-taking scenery and sea views at every turn. This luxury seafront hotel also offers direct access to its very own immaculate and fully serviced private beach, equipped with sunbeds and parasols. Guests are welcome to swim in the crystalline waters of the Ionian Sea, make use of the water sports available at the hotel or even bask in the Greek sun with a drink in hand at MarBella Nido’s fabulous pool. The legendary Datai, Langkawi will be reopening July 2018 after its first ever refurbishment since its launch over 20 years ago. Nestled in the heart of an ancient rainforest, The Datai Langkawi will be a captivating destination resort that blends smoothly with its natural surroundings. This highly anticipated renovation will see all the bedrooms, facilities and public areas dramatically remodelled with each room, suite and villa enjoying the stunning views of the breath-taking Andaman Sea from private verandas. Nature lovers will enjoy the resort’s jungle surrounding that plays host to a wealth of wildlife- You may well spot dusky leaf monkeys, tokay geckos or Sunda flying lemurs during your stay. 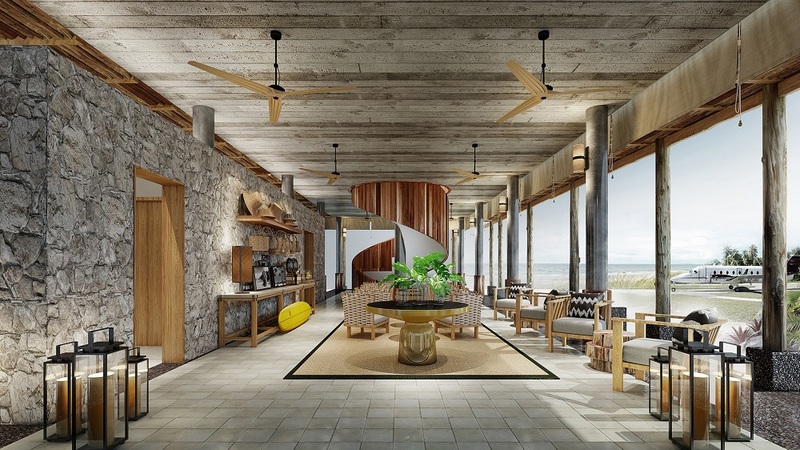 Six Senses will open an all-suite-and-villa resort in the southwest of Bali at Uluwatu in April 2018. 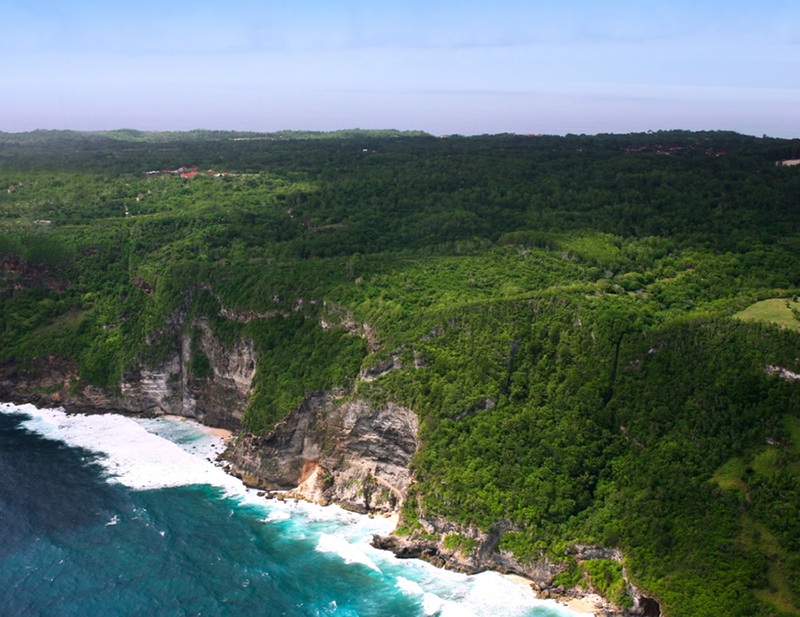 The resort is set atop a rugged cliff, sharing the spectacular ocean views with the island’s famed Uluwatu Temple. True to Six Senses inimitable style, Six Senses Bali will include sky villas as well as one and two ­ bedroom villas that draw upon the local culture, embrace nature and offer every creature comfort. The resort offers plenty of things to do including two restaurants, a pool bar and a specialty restaurant with Chef’s Table, cooking school and spa. The spa will feature locally- inspired specialty treatments together with an extensive menu of signature therapies. The coastline is one of the top places on the island see spectacular sunsets with sweeping panoramas out to the Indian Ocean. Uluwatu is perhaps best known for Pura Luhur Uluwatu, one of the six key temples believed to be Bali’s spiritual pillars, renowned for its magnificent location, perched on top of a steep cliff approximately 70 metres above the sea. Several archaeological remains found here prove the temple to be of megalithic origin, dating back to around the 10th century. A game changer for this relatively undiscovered destination, the new Taj Exotica will be located on Havelock Island on the crescent shaped Radnanagar Beach. The resort will comprise 75 beach villas inspired by the rustic pitch-roof style of the indigenous Jawara tribe, spread across 30 acres, surrounded by rich coral reefs on the edge of the jungle, filled with the likes of brilliant coloured fish, reef sharks, manta rays and loggerhead turtles. New flight links from core cities across India (Chennai, Kolkata, Delhi and Bangalore) will make this glorious beach haven even easier to access as part of an exclusive Taj itinerary. 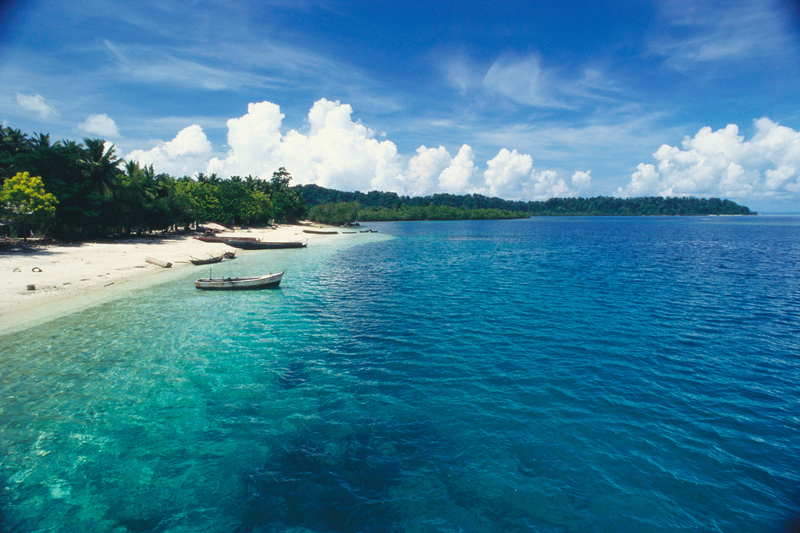 Havelock Island is well known for its dive sites and coral reefs and Taj can offer interesting destination experiences including underwater photography, kayaking through the mangroves, diving through the rich marine life or just relax and take in the stunning views of the Radhanagar and Elephant beaches. The new resort will also be home to a Jiva Spa and three restaurants, each of which tell the history of the island’s inhabitants – including the Indian freedom fighters incarcerated by the British in the 19th Century in the notorious Cellular Jail and the brief occupation of the Japanese during World War II. The Settlers fine dining restaurant uses home-grown ingredients to create modern innovative dishes rooted in the flavours of South East Asian, Tamil, Keralan and Bengali cuisine, while speciality restaurant Shoreline offers coastal curries and fish from the Andaman sea and Bay of Bengal. For international comfort food, the Turtle House offers global grills and a selection of Taj signature dishes curted from the chefs at the leading Taj Hotels. 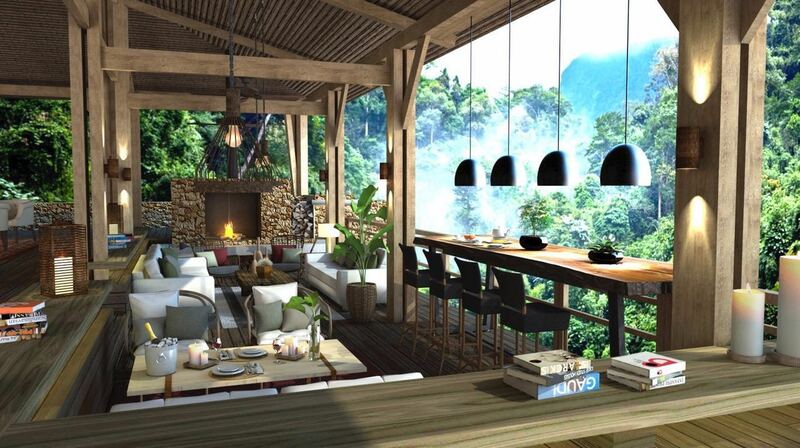 Shinta Mani Wild is a hugely ambitious new concept for a luxury tented camp in the Cardamom Mountains. Nestled in the depths of the Cambodian wilderness right beside an important elephant migration trail, Shinat Mani Wild combines Bill Bensley’s world-class design with the finest hospitality and conservation. 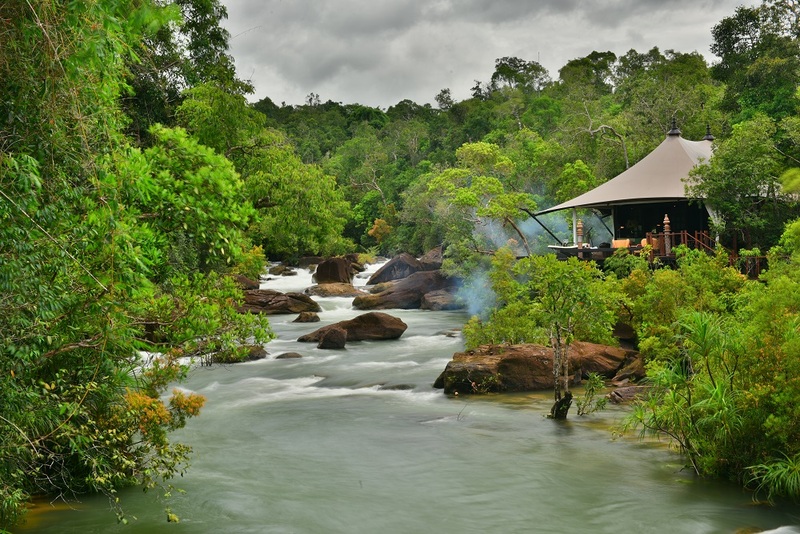 The 16 luxury tents are perched over the camps private waterfall and will be a utopia of sustainability. This pioneering private nature sanctuary is an exercise in extreme ingenuity where guests can feast on delicacies grown and foraged from the surrounding land and encounter extraordinary wildlife. High in the heart of India’s Eastern Himalayas in the Buddhist Kingdom of Sikkim, Shakti Himalaya is launching its latest village house, Hatti Dhungha, just as the Sikkim Pakyong Airport opens for its first arrivals – together putting Sikkim firmly on the map for 2018. The magical state of Sikkim is carefully revealed to travellers by Shakti Himalaya’s Village Houses and signature village walk itineraries. Until now, Sikkim has been accessible only be road – at once protecting this magical part of India and making access incredibly difficult. Hatti Dhunga is an authentic three-bedroom wooden house, carefully redesigned by Shakti Himalaya. 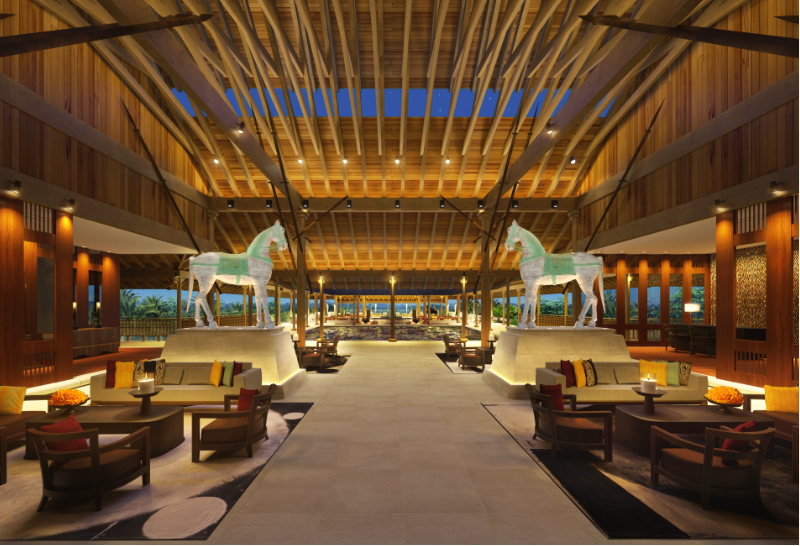 This new home will be a key stop on the Shakti Sikkim signature village walk itineraries for the 2018 season, while the opening of the airport connects the province to other major cities around the globe for the first time. The hotel will provide guests with exclusive brand offerings and amenities, including The Sound of Your Stay® music programme, offering complimentary use of Fender guitars and Crosley record players for in-room jam sessions, as well as a renowned full-service Rock Spa® which will offer quirky music inspired treatments. Guests can also treat their taste buds to delectable on-site food and beverage options, ranging from a Pool Bar and all-day dining, to a Beach Grill restaurant and in-villa dining experience. Set to open in early 2018 on the Olhahali Picnic Island near Male, the sleek resort will include individual south beach style penthouses on sand or over water, which is a real departure from the usual beach shack vibe associated with the Maldives. The resort will be elegantly styled with a nautical meets Miami theme and for the first time in the Maldives, each residence will feature a reef terrace – a magnificent private deck, elevated five metres above the giant house lagoon. 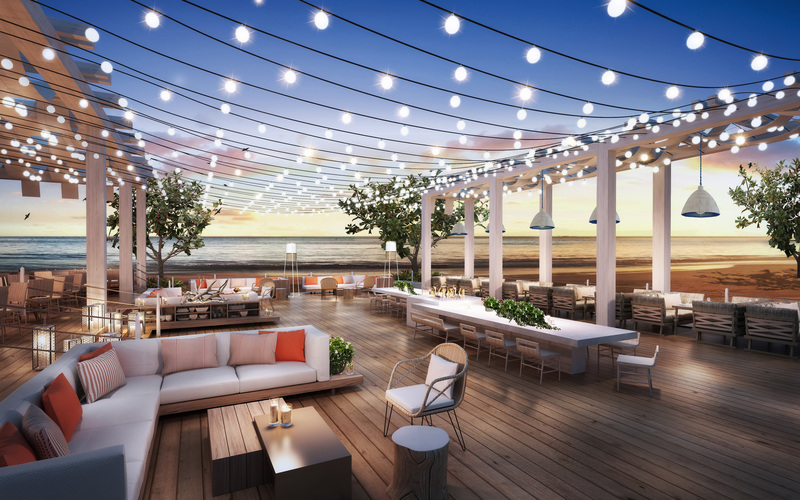 The resort will also be home to Big Green Egg BBQs, a rooftop bar, cinema and SONOS, a yoga plinth, starlight jacuzzi and outdoor games help to create the ultimate skylounge for people that love the high life. Set to open in June 2018, Shipwreck Lodge will offer a completely unique place to stay amid the sweeping dunes of Namibia’s Skeleton Coast. 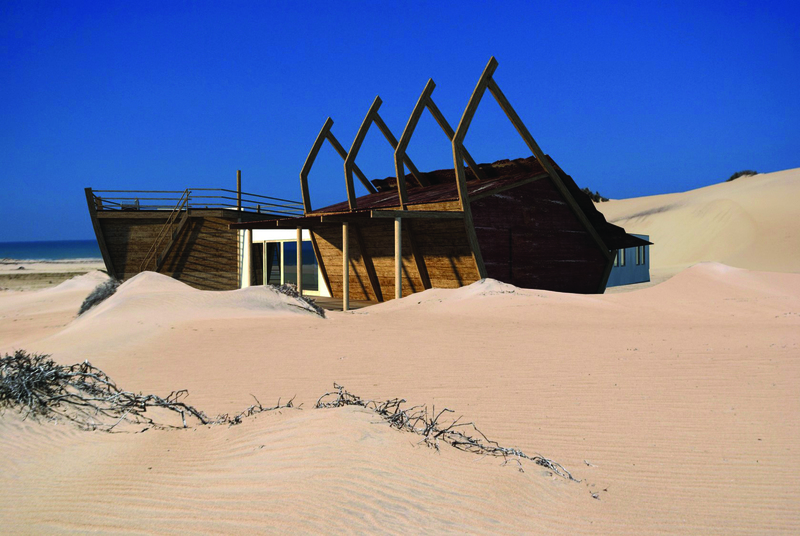 Shipwreck Lodge is the very first lodge to be built in the Skeleton Coast Central Concession Area, creating a gateway for desert adventures and brilliant alternative safaris. All rooms are designed to look like shipwrecks, in a completely unique architectural plan, while brilliant family rooms make it a great choice for those travelling with children. Zuri Zanzibar is set on the north-west shores of Zanzibar, with the most beautiful of white-sand beaches on its doorstep. 55 bungalows, suites and villas will overlook the beach and Indian Ocean. The design combines contemporary touches with curated locally made furniture and African artwork, giving a unique sense of place. 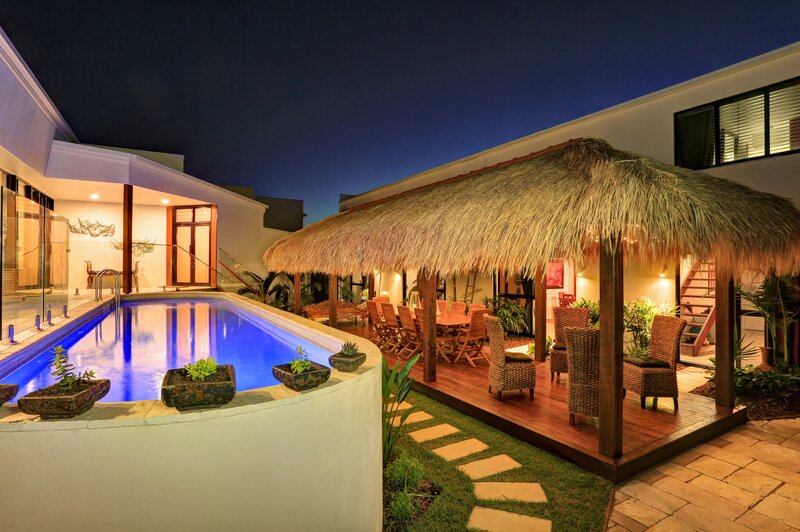 The villas have their own stretch of private beach and a Jacuzzi, creating a private paradise. Zuri means ‘beautiful’ in Swahili; this is the philosophy on which the resort is built, combining the beach and a miraculous garden to create the most beautiful of properties. Natural Selection will debut another new camp in one of the wildest corners of Namibia called Hoanib Valley Camp in the Hoanib River valley. Here the focus is on the surprising diversity of desert-adapted species which survive in this harsh eco-system; giraffe, elephant, springbok, oryx, giraffe, and even lion. The camp will also be home to a long-running giraffe research project by Dr. Julian Fennessy, the world’s foremost expert on the species. Guests will have the opportunity to learn about the project and even walk with some of the more habituated gentle giants. On top of all that, the camp will boast some of Africa’s most jaw-droppingly spectacular scenery and offer encounters with traditional Himba people and day trips to the famed Skeleton Coast National Park to the west. There will be six tents tucked away on the bank of the Obias River in a remarkable habitat of impressive mountains, sandy riverbeds and grassy plains. Guests can enjoy walks, meet the fascinating local people and guides of the area and join field researchers as they monitor large game, making this an exciting prospect for the adventurous and inquisitive. 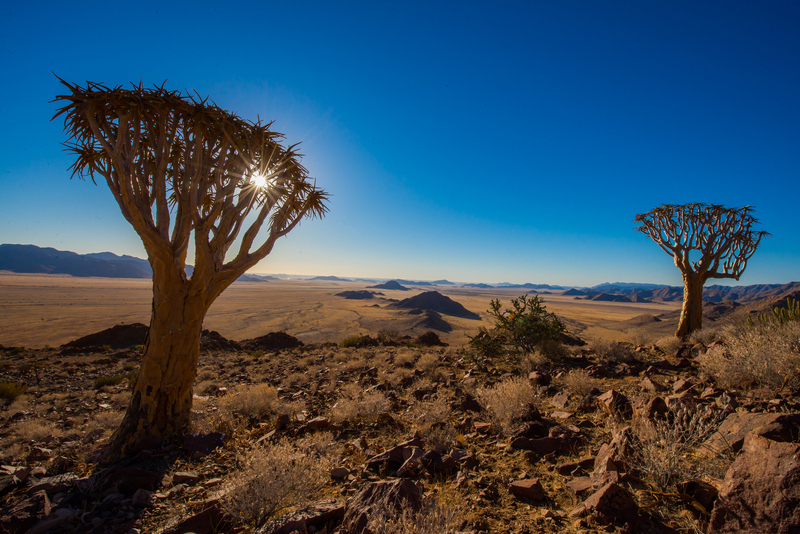 Ultimate Safari’s Sossus Under Canvas will be a semi-permanent tented camp set in the Greater Sossusvlei-Namib area in the Neuhof Nature Reserve. The camp will be open between April and November each year, bookable only on an exclusive basis; this promises one of the most private, unique experiences in Namibia for 2018. The camp will have eight Meru tents, each with an open-air bathroom, with comfortable accommodation: this is about a real wilderness experience, rather than a high level of luxury. Powered by solar power, with minimal environmental impact, this will be one of the most eco-friendly camps in the country. Guests will enjoy game drives and nature walks as well as stargazing and desert pool experiences. Following extensive renovations, Four Seasons Resort Seychelles at Desroches Island will open in March 2018 and will be the only resort offering on the remote tropical island of Desroches. For the adventurous traveller, Four Seasons has introduced a Castaway Centre – pick up a takeaway picnic from the resort’s deli before hiking, cycling or swimming along 9 miles of postcard-perfect white sand beaches, through lush tropical forests and around colourful coral reefs.The resort is also home to the Island Conservation Society’s Tortoise Sanctuary, which stewards a local population of approximately 150 giant Aldabra tortoises where guests can learn and observe as Four Seasons naturalists rehabilitate the Aldabra giant tortoise – a species vulnerable to extinction. Nestled among Fever Trees and Baobabs, the Robin Pope Safaris’ new Kuthengo Camp is set in the Liwonde National Park in southern Malawi, alongside the Shire River and Lake Malombe. Comprising of four spacious and modern safari en-suite tents all with private decks, this intimate camp maintains a rustic charm, complemented by stunning views. The unspoiled wilderness of Liwonde National Park provides a wonderful retreat where guests can experience the many activities on offer – from adventurous game drives and walking safaris to tranquil boat cruises along the grand Shire River – in complete privacy. The park comprises riverine, grassland and Mopane woodlands which offers amazing scenery and is home to elephant, buffalo, endangered black rhinos and various antelope species. Cheetah have also been reintroduced thanks to recent conservation efforts in the area. Liwonde National Park is a birder’s paradise – with nearly 300 species, including the Böhm’s bee-eater, Livingstone’s flycatcher, Pel’s fishing owl and Lillian’s love bird. The iconic Hemingways Watamu will re-open on the Kenyan coast in January 2018 following a major 18-month refurbishment and multi-million-dollar transformation. 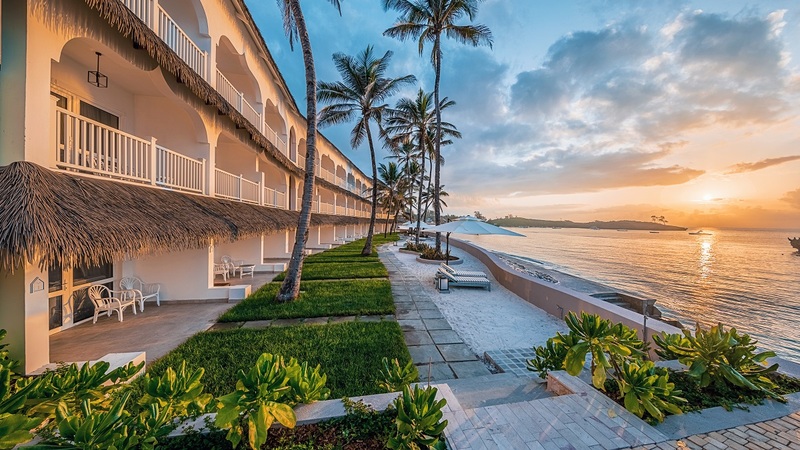 The new look maximizes the hotel’s idyllic setting at the heart of the Watamu Marine National Park – home to turtles, barracuda, whale shark and wonderful coral reefs. The hotel is also in prime position for exploring the extraordinary Arabuko-Sokoke Forest – the largest, most intact coastal forest in East Africa, home to some of Kenya’s rarest mammals, elephant, brilliant butterflies and saltwater mangroves. Meanwhile, Watamu experiences Kenya’s second ‘great migration’ – in July and August, humpback whales migrate along the coastline, for some of the most spectacular whale watching imaginable. Hemingways Watamu will re-open with 39 bedrooms – including 13 brand new deluxe ocean view rooms – and 21 Residences, offering 1,2 or 4 bedroom apartments that will be available for purchase and as part of the hotel. There will be a new spa offering Terre d’Afrique products and treatments, a new botanical pool, plus a fabulous new clean and elegant look. Morukuru Beach Lodge is located in the breathtaking UNESCO De Hoop Nature Reserve, on the pristine Koppie Alleen coastline, just south of Swellendam on the Garden Route. 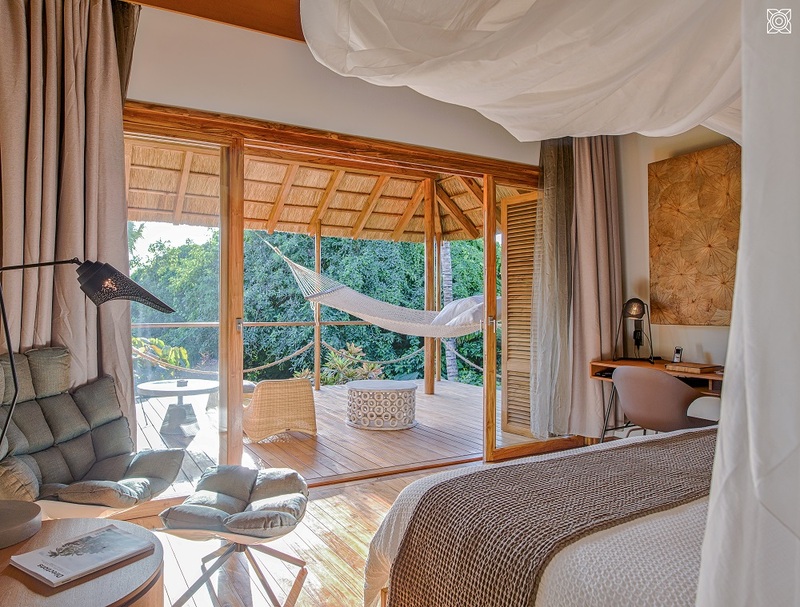 The lodge will comprise five beautiful en-suite bedrooms, a restaurant and bar area, pool and hot tub, and roof terrace with views over the Indian Ocean. 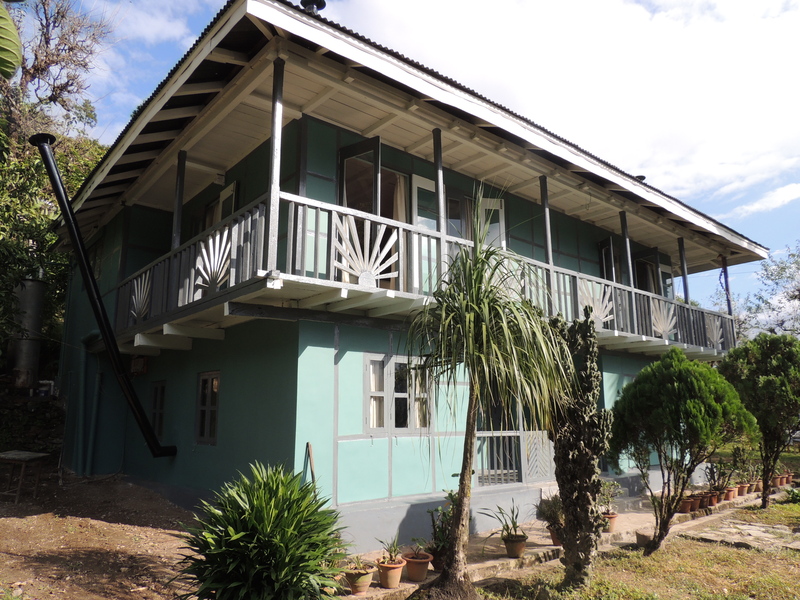 This new lodge building will be a replica of its sister property, Morukuru Ocean House, and follow the same sustainable principles; solar powered and off the grid. The De Hoop Nature Reserve offers towering white sand dunes lapped by the Indian Ocean, limestone cliffs, rock pools and coastal fynbos. It is a wonderful place to see southern right whales. Other wildlife in the reserve includes dolphins, sharks and seals, as well as the bontebok and Cape mountain zebra. The reserve is also particularly known for its bird population. Only an hour south of Los Angeles this sunny beach side town is the perfect hub to explore Southern California. With its beautiful sandy beaches, amazing water sports offering, close proximity to major theme parks and great shopping and dining it has everything to entertain couples looking for a break away. 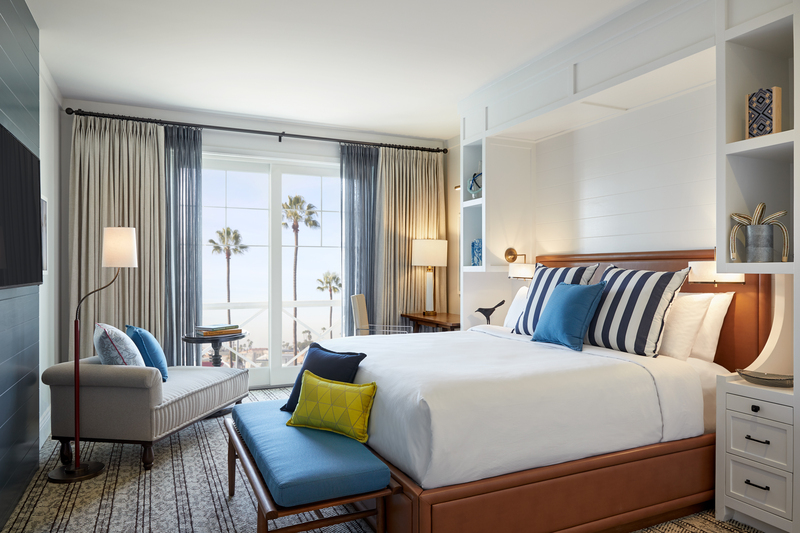 Beautifully integrating marina, beach and town, the new boutique hotel, Lido House is a stylish celebration of the SoCal lifestyle. With 130 rooms, central location within the Lido Marina Village and rooftop lounge, the hotel is expected to be THE new hotspot when opening in early spring 2018. This is for the first time in 50 YEARS that a hotel has been built on the famous peninsula! 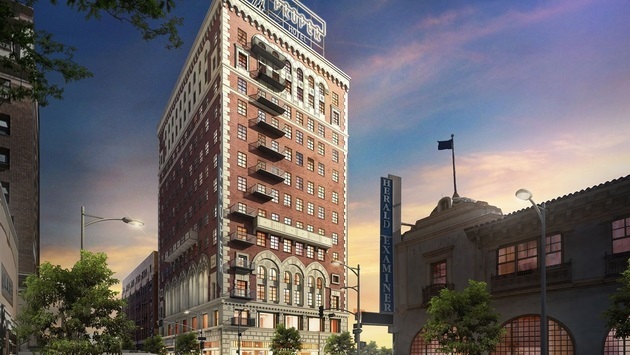 Proper Hotels is to enter the glamorous city of Angels with a Downtown L.A. property located at the site of the former Case Hotel. The 13-story historic property sits on the corner of Broadway and 11th Street so an ideal location for couples wanting to explore the raw urban Downtown lifestyle. When it opens in mid-2018 it will boast trendy guest rooms, two ground floor restaurants, two unique presidential suites as well as a rooftop with restaurant, bar and swimming pool. The Hoxton will be opening in Williamsburg, Brooklyn, one of New York’s most exciting neighbourhoods. It is The Hoxton’s first move in what promises to be more expansion into the US. The Hoxton currently has two hotels in London – The Hoxton, Shoreditch and The Hoxton, Holborn.. Featuring 175 rooms, this nine-story new hotel will include manufacturing space on the ground floor, together with two restaurants and a roof terrace. It will no doubt be a trendy addition to New York’s hotel scene. 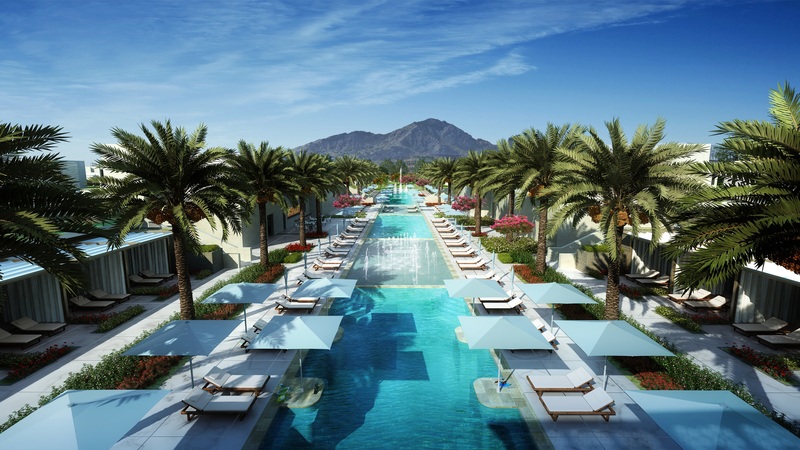 One of the world’s most recognised luxury brands, The Ritz-Carlton, is making its entrance into Arizona’s most affluent and desirable area, the town of Paradise Valley, Scottsdale. This long-awaited marriage will bring together a masterfully-crafted community of luxury villas within the gates of what will soon become the pinnacle of sophisticated, full-service resort living. Just a few steps away, this collection of residences is intimately connected with an emerging icon of luxury, The Palmeraie – the soon-to-be number one shopping destination in America. The most powerful address in Arizona will truly redefine paradise. 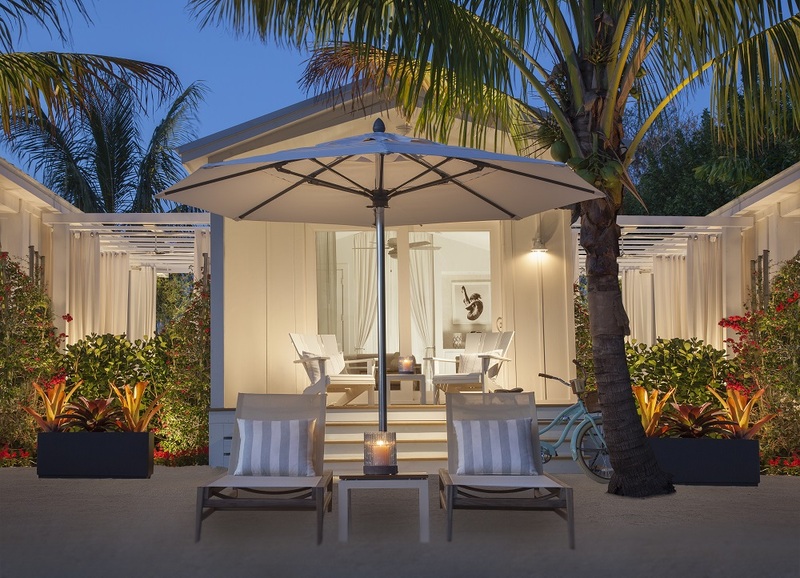 Opening in Spring 2018, the all new adults-only Bungalows Key Largo will be the first all-inclusive resort in the Keys’. Located near mile marker 99 bayside, it will no doubt be a sought after place to stay for couples. Think sea, sunsets and palm trees. As an added bonus most rooms will include private outdoor plunge pools or tubs. The resort is to offer two in-ground pools, five indoor and outdoor restaurants, four bars, 1,000 feet of shoreline, three piers to accommodate boats up to 40 feet long and a “Florida Keys chic” design. 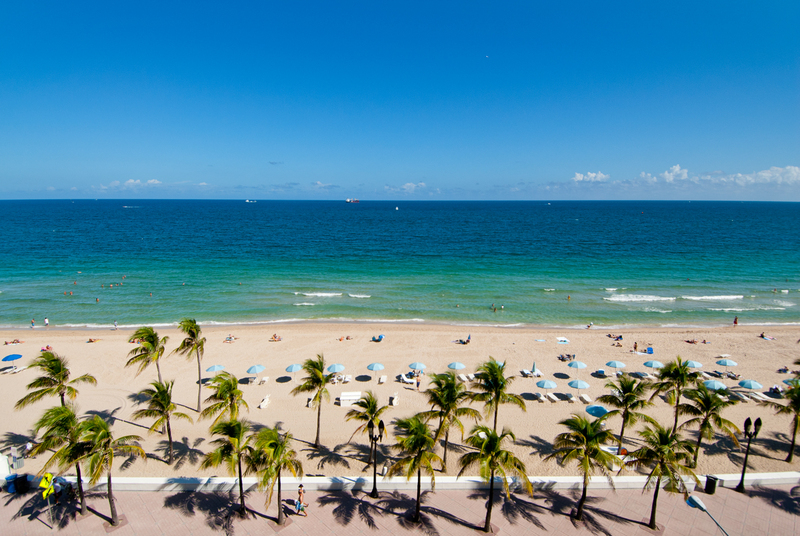 A new full-service dual branded hotel is coming to downtown Fort Lauderdale in late Spring 2018. The stylish new build is 24-story and will offer an elevated arrival experience on the 6th floor along with a lobby bar, pool deck, and fitness room. The Dalmar will boast the city’s first high-rise rooftop bar on its 25th floor; offering stunning 360 degree views and craft cocktails that will be curated by a yet unnamed James Beard award nominated nightlife operator. The Ramble Hotel, an independently owned, three-story hotel will open in Denver’s RiNo (River North) Art District in early 2018 with 50 guestrooms; an intimate theatre and bar; an outdoor courtyard; an independently owned restaurant; and a marquee lobby bar, Death & Co Denver. The bar marks the first outpost outside of its original location in New York’s East Village, which opened to immediate acclaim in 2006. Keep an eye on this new addition! Another superb new opening set for Denver is The Source Hotel. This 100-room hotel will be located next to the popular Source culinary marketplace and will be located in Denver’s hip RiNo (River North) district. The property will feature its own extension of the culinary marketplace as well as a courtyard connecting it to The Source. Hotel plans also call for a new New Belgium brewing concept to feature sour beers. 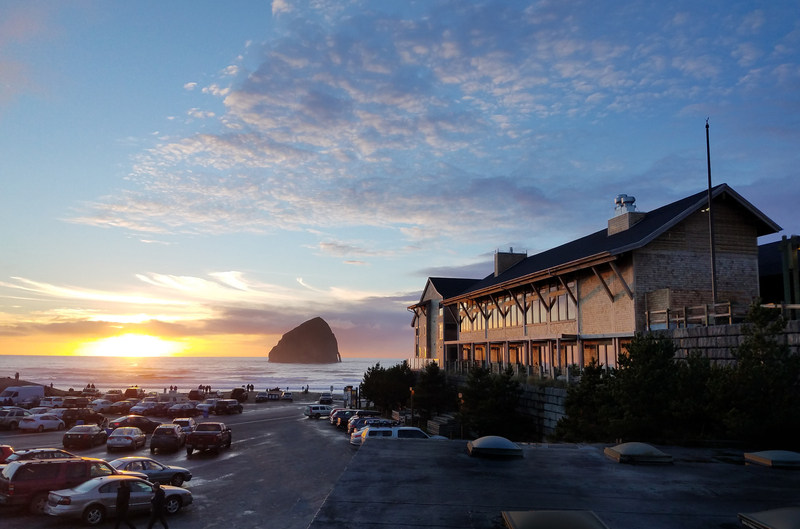 The Headlands Coastal Lodge & Spa is the latest venture from the owners of neighbouring Pelican Brewery and is sandwiched between Pacific City’s beachfront Pelican Brewery and Cape Kiwanda Natural Area. Lodge rooms feature private balconies with views of Haystack Rock, and touches including custom Pendleton blanket and a pantry stocked with snacks like Tillamook ice cream and Tom Bumble chocolates. Recharge in the wide-open outdoors of the expansive coastal stretch, or remain blissfully cut off from it all and rediscover yourself; a moment and place at the edge of the world, where you can immerse yourself in new adventures.Stay in to watch the waves in glorious solitude from your private balcony. Or venture through the fire-lit lobby and down Haystack Hall, where sky-high windows bring in the summer sun and frame Portland’s famous winter storms. 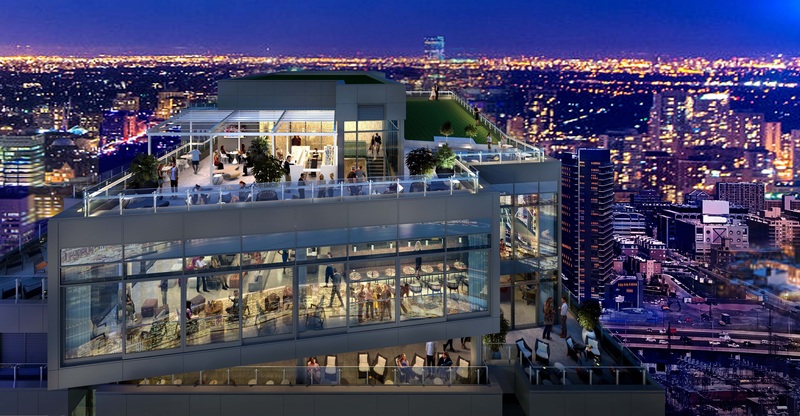 Hotel X will be a new luxury urban resort in Downtown Toronto, overlooking the Lake Ontario waterfront. It will be located opposite the Enercare Centre and perfectly situated near the region’s most popular attractions. 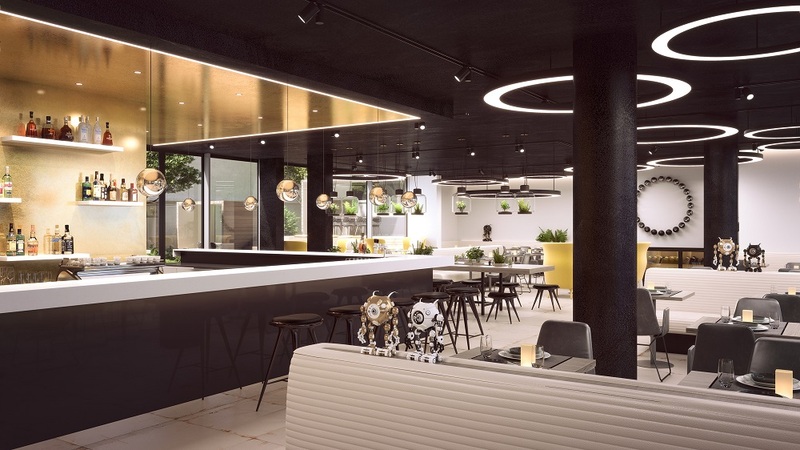 Designed with a focus on the vibrant Toronto community and driven by the environmentally sustainable practices and eco-friendly initiatives, the new Hotel X Toronto is offering a modern hotel experience in the heart of the city. 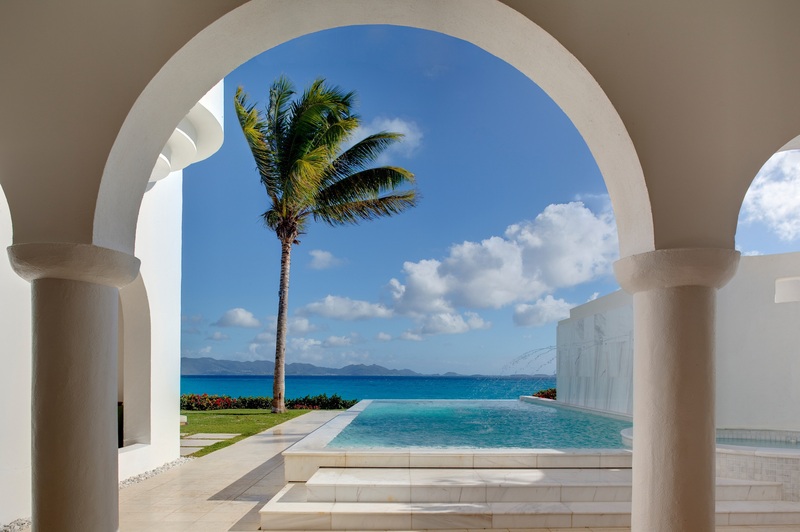 Anguilla’s most iconic resort, Cap Juluca will be opening its doors under the new acquisition of the Belmond Group in November 2018 after a year of renovation works. The five-star Belmond Cap Juluca located on the shores of the beautiful Maundays Bay, will feature 121 rooms including 25 brand new beach front guestrooms with ocean views and set amongst unspoilt tropical surroundings, encouraging guests to unwind in true Caribbean style. The property, spread over a crescent-shaped cove will also feature four restaurants and bars, a large salt water pool, complimentary water sports including snorkeling and kayaking, plus tennis courts, a fitness centre and a library. The opening of the new Awasi hotel at Iguazu Falls has been hotly anticipated and the property is set to launch on 5th February 2018. Located just 15 minutes from the impressive Iguazu Falls, this new 14-room lodge is situated on the banks of the River Iguazú. Each of the luxurious villas will be assigned with a private guide and 4WD, allowing guests to explore at their own pace, visiting where they want, when they want, and for however long they want. Guests may choose between full-day excursions with lunch included, or two half-day excursions, returning to have lunch at Awasi between both excursions. The hotel is working closely with biologists to create activity options that go beyond the falls and give visitors the opportunity to experience the wonderful nature of the area. The villas are built on stilts for minimal environmental impact, and in order to create utmost privacy, they are spread throughout the jungle, yet still within easy reach of the main lodge. Each will boast a private plunge pool, outdoor shower and spacious living area. There will also be a master villa which will have larger plunge pool and living room allowing plenty of space – perfect for two couples or a family. As per other Awai properties, all meals are included plus an open bar including an exquisite selection of Argentinian wines. Bespoke Latin America offers a luxury 10-day holiday to Argentina and Brazil featuring 3 nights at the Awasi Iguazu, 3 nights in Buenos Aires at the Hotel HUB Porteno and 4 nights in Rio de Janeiro at the Hotel Emiliano. The trip which includes return flights from the UK and with private tours in Buenos Aires and Rio de Janeiro plus private transfers is priced from £6,520 per person. The Hotel Fasano will finally open in January 2018 after a number of delays but is an exciting new addition to the Brazilian luxury hotel scene. It’s the 4th Fasano property to open in Brazil and is bound to have the same high standards of the Fasano family’s 3 other properties in Rio de Janeiro, Sao Paulo and Boa Vista. 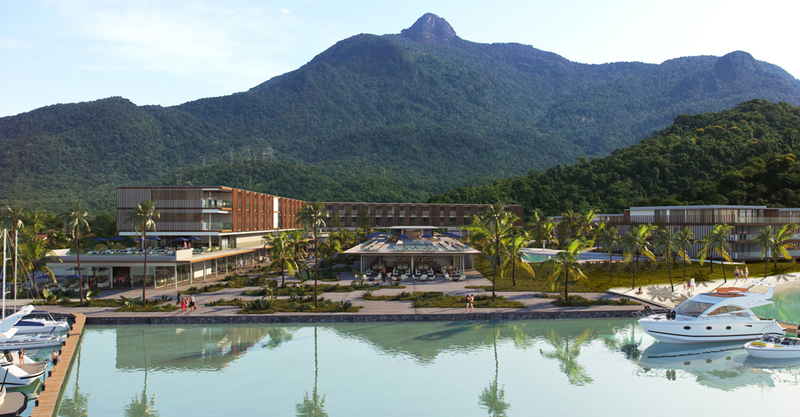 The hotel resort is one of the very few places in the country that combines the richness of the Atlantic forest with a marina, golf course (18 holes), shopping mall, restaurants, entertainment and exceptional services for residents and visitors. With 54 spacious suites, all of them have a sea-view of Angra dos Reis. The entire project has been planned to serve clients aiming for exclusive residences and short-stays. 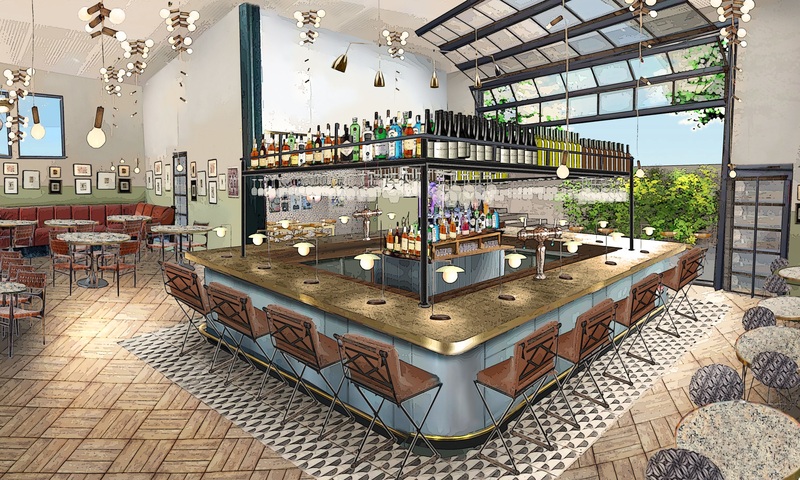 It will have also two restaurants created by restaurateur Rogério Fasano. Bespoke Latin America offers a luxury 11-night holiday to Brazil featuring 7 nights at the Fasano Angra and 4 nights in the Fasano Rio de Janeiro. The trip which includes return flights from the UK and with private tours of Rio de Janeiro and transfers is priced from £4,560 per person. Located in the heart of the old town on Calle Junin in San Marcos, ILLA Experience Hotel is in the heart of the action with everything a short walk away. For generations, San Marcos has been home to artists, writers and musicians. Its present-day charm owes much to the tight-knit community of residents and is the perfect setting for this experience hotel. A historic house that represents the exquisite style of the mansions of Quito from the early 20th Century will enchant guests by night while they discover this World Heritage City by day in easy walking distance. All these experiences can be enjoyed from the comfort of a stylishly-restored building dating back to 1700. This cosy 10-room hotel showcases key periods in the capital’s history, the rooms and suites on each floor are decorated in Colonial, Republican and contemporary styles respectively. Perhaps most enticing of all, savour innovative Ecuadorian cuisine at the hotel’s award-winning restaurant partner, Nuema. In their previous location, the restaurant earned a top-recommended spot on Trip Advisor thanks to their refreshing take on Ecuadorian cuisine. The brilliance of their dishes comes from finding ways to respect traditional products, plus a farm-to-table policy with ancient ingredients and modern innovation. Bespoke Latin America offers a luxury 2-week holiday to Ecuador featuring 3 nights at the Illa Experience Hotel and 9 nights on board the Galapagos boat, the Seastar Journey, which recently was voted South America’s best boutique cruise in 2017. The trip which includes return flights from the UK and with private tours and transfers in Quito is priced from £8,200 per person. M Social Auckland is an exciting new hotel located on the waterfront of Princes Wharf in Auckland, NZ. It follows the hugely successful opening of Philippe Starck-designed M Social Singapore last summer. 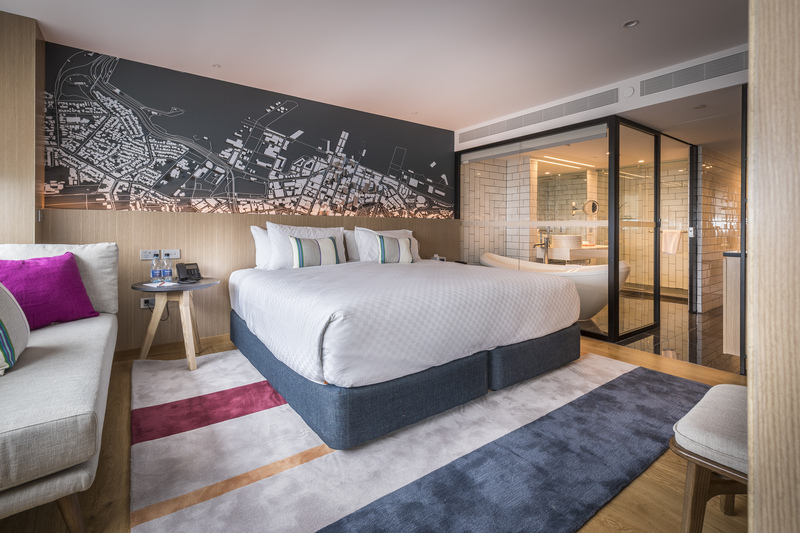 Each of the guestrooms and suites at the hotel feature wall-to-wall windows offering unparalleled views of Auckland Harbour and the sprawling suites come with separate living and sleeping areas and indulgent freestanding bathtubs. Beast & Butterflies, the hotel’s all-day dining restaurant, has a tantalising Pacific Rim menu that showcases the region’s best fresh seafood, combined with an extensive cocktail and wine list. The hotel also embraces technology: it has self-check-in kiosks, in-room smart TVs and a number of other features that help to enhance guests’ time at the hotel. Beyond the Tablelands, west of Cairns in the vast, rugged outback terrain of North Queensland back country sits Mount Mulligan Station. 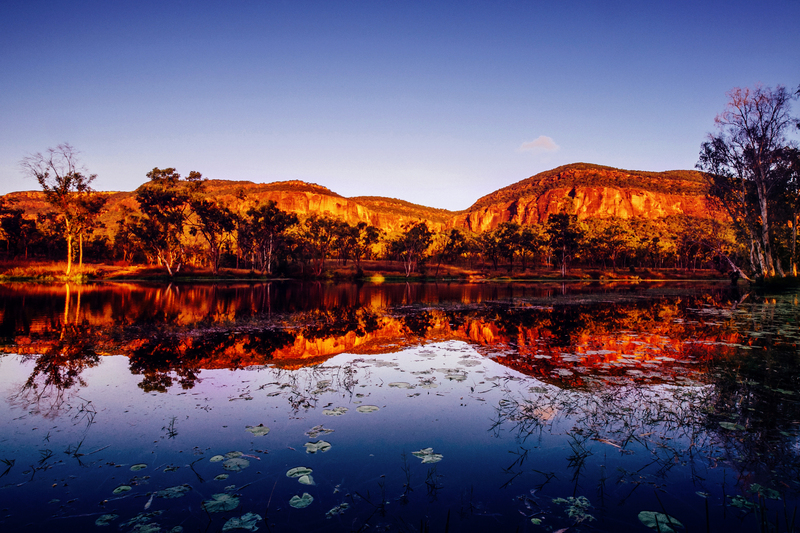 Ten times larger than Uluru, Mount Mulligan’s spectacular 18 kilometre sandstone ridge is said to be the birthplace of the Rainbow Serpent according to Aboriginal Dreamtime legend. The new luxury lodge will offer just 24 guests a luxury experience with the true essence of North Queensland country through the daily operations of a working cattle station. Guests can arrive via a 30 minute scenic helicopter tour from Cairns with a bird’s eye view of the changing landscape from reef to rainforest before reaching the expanding rugged Australian bush. More adventurous guests can undertake a three hour 4WD adventure driving west from Cairns through the small outback towns of Kuranda, Mareeba and Dimbulah. With only 12 luxury accommodations, all rooms, suites and villas have fantastic views of the stunning high cliff face. 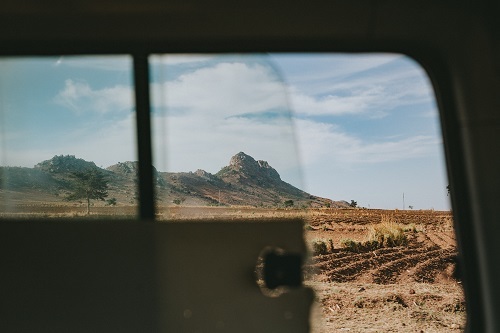 On the station guests can spend their days swimming, fishing, and exploring the station in 6 wheel drive Landrovers, and by night, stargaze, enjoy astronomy talks, and drink fine wines around the outdoor fire pit. There will be a large paddock to plate dining focus, with ingredients sourced from the lodge orchard and vegetable garden. Located in the Southpoint area in Brisbane’s beautiful South Bank, the new flagship Emporium Hotel is set to open mid-2018. This exquisite boutique luxury hotel will be centrally located on Grey Street, surrounded by Brisbane’s best bars, dining and lifestyle options. The hotel is also just steps away from the Queensland Performing Arts Complex, Queensland Art Gallery and the Queensland Gallery of Modern Art. The Emporium Hotel will boast a spectacular rooftop infinity pool with views over South Bank and to the city beyond, as well as day spa, health and wellness centre and rooftop bar. 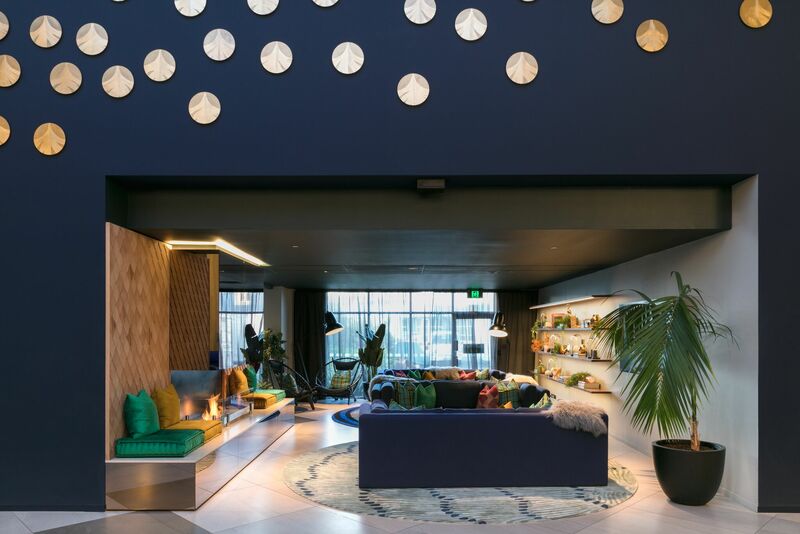 This brand-new design hotel is located in the Mangere neighbourhood of Auckland, south of the city centre and just minutes from the international and domestic airports, the hotel offers a perfect stylish stopover for leisure and business travellers. With nearly 200 spacious rooms and suites offering private patios and balconies, an outdoor solar-heated swimming pool, a perfectly manicured English garden, restaurant and bar and gym. The hotel is ideally located near New Zealand’s famous winery, Villa Maria Wine Estate, as well as the historic Otuataua Stonefields Reserve and Mangere Mountain. Paksa, meaning “wing of a bird” in Sanskrit, is the restaurant and bar forming the beating heart of the hotel. Led by executive-chef Luke Bottner, Paksa offers a menu of Asian-fusion and classic dishes, with something for everyone and for any occasion. Situated right on the beachfront, this private, boutique retreat can accommodate up to 22 people with onsite villa accommodation, with the option to hire exclusively. There is a broad range of professional retreat programmes with personalised ecotherapy experiences, integrated health, wellness, team building or lifestyle packages, all available to achieve maximum relaxation. The new boutique retreat overlooks the Coral Sea and Great Barrier Reef, providing the ideal setting to find inner peace. On site guests can take part in beachside and aerial yoga, surfing and beach activities or relax in the heated Magnesium pool and Relaxarium Hydrotherapy spa. Nature and wildlife are no doubt crucial to wellness and healing the mind, and whilst at ZEN guests can fully embrace nature in all its glory, diving amongst the colourful corals of the Great Barrier Reef, witness turtle laying and hatching and Mon Repos, whale watch from Lady Musgrave Island and swim with Manta Rays and turtles off the nearby Lady Elliot Island. Located on the volcanic island of Malolo amidst crystal waters, pale ivory sands and thick tropical forest, the hotel will be made up of spacious pool villas and residential villas – all offering the privacy, seclusion and luxury for which Six Senses has become best known. With a state of the art gym, Club House and stretch of private beach, Six Senses Fiji will offer the pioneering sustainable practices that are so fundamental to the group’s ethos. 100% solar powered, it will be the first hotel of its kind in Fiji to function off Tesla batteries, with LED lighting to minimise energy expenditure and a careful reforestation programme designed to offset the environmental impact of construction. In true Six Senses style, the group’s new Fijian outpost will offer guests bespoke advice, care and treatments according to their hugely successful Integrated Wellness Programme: along with locally inspired cuisine available in five island restaurants, sourced from the hotel’s own vegetable garden, farmers, markets and fishermen from the neighbouring community. Six Senses Fiji is found on one of the most dramatically beautiful isles in the 333-island nation with consistent warm, tropical weather making the resort an ideal year-round destination. Six Senses Fiji is anchored with two marinas, and the resort and residences are ideal for ocean enthusiasts looking for their own tropical paradise but with all the comforts and amenities of home. Six Senses Fiji is slated to open in April 2018. The resort is easily accessible from Nadi International Airport – a 30-minute journey by boat from Denaadaru Marina, 30-minute helicopter flight or 20-minute seaplane flight. Rates in a Hideaway Pool Villa (one bedroom) will start from FJD 2,000 (Fiji Dollars) – approx. £718 – per night, B&B. This rate also includes 25% government tax, non-motorised water sports, GEM (Guest Experience Maker) services, select daily activities per the weekly activity schedule, complimentary ice cream and complimentary Kid’s Club. Rates are subject to change ahead of opening.